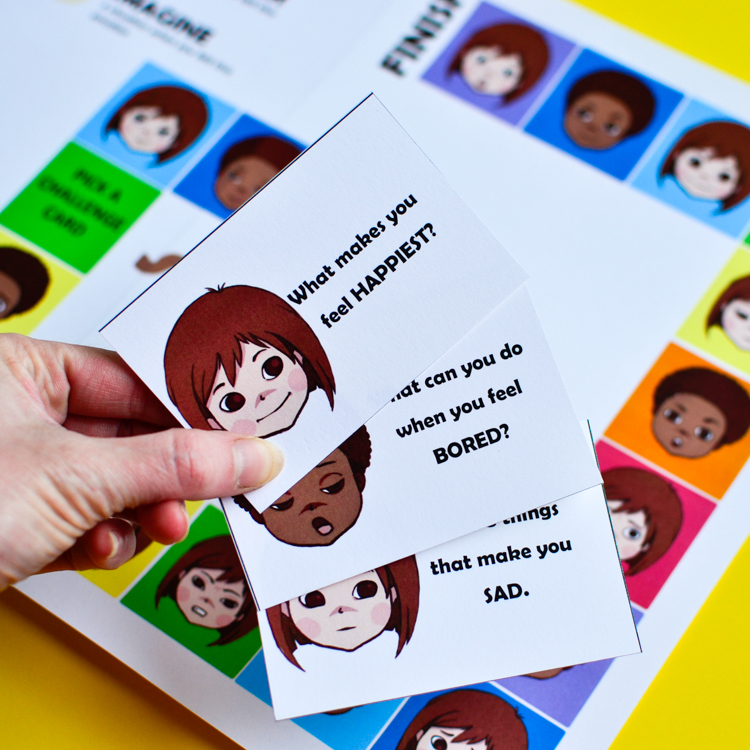 EMOTIONS is a fun printable board game for kids and adults to play together! 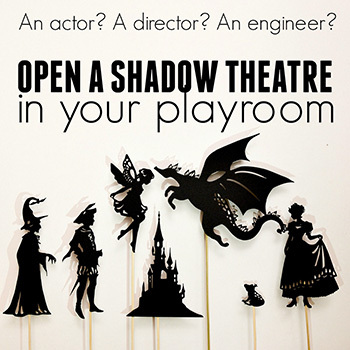 Players will be challenged to act, discuss and imagine, while learning all about emotions and each other. Now that my kids are of the board game playing age, and we have begun our collection of games to play, the next predictable step was to make our own. 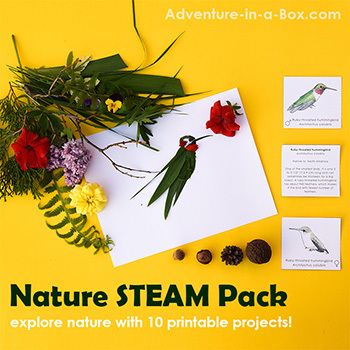 Board games and card games are great for explaining new concepts and learning facts in a playful manner. For a start, we’ve made Flag Bingo and Sea Life Matching Game. They are decidedly fact-based. Our latest game is different. It’s more subjective, more interactive, and probably more fun. But it does deal with that very tricky subject of emotions. Emotions aren’t studied in depth at school. A pity, really! Because it is something we have to deal with every day. By adulthood, most of us have developed some strategies of how to manage anger, boredom, or anxiety, and when I had kids, it was something of a surprise to realize that they do not have any of these mechanisms. Their anger is passionate and raw, and there are few things quite as desolate as a five-year-old’s boredom. To make things even more complicated, small children can’t explain what they’re feeling because they don’t have names for their emotions yet. We try to help them, but it isn’t as easy as pointing at a toddler’s nose and saying, “It’s a nose.” For instance, if a child is acting out when guests come over, we can guess that he or she is overwrought with emotions, but what are they? Is it excitement, anxiety or possibly even shyness? It may be even a mixture of them all. We talk about emotions. We say that it is okay to feel a certain way like feeling angry when your little sister rips your drawing, but it isn’t okay to act on your anger by hitting her. We try to give advice on alternative ways of expressing emotions that will not harm anyone. We do it again and again. Many times about many different emotions. This is also what we made this game for. 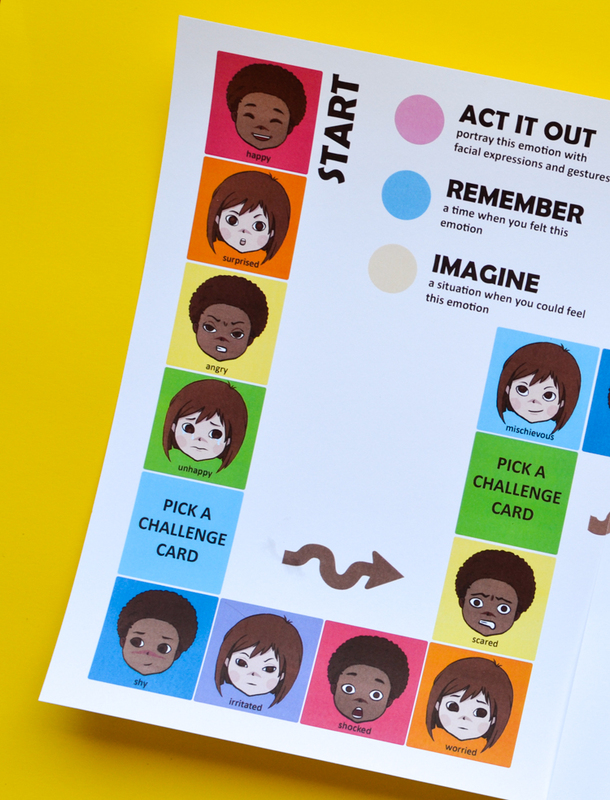 While playing this game, children and adults will be challenged to talk about emotions: how they react to certain emotions, what causes them, and how to deal with them. Some tasks in the game are funny, and some are serious. 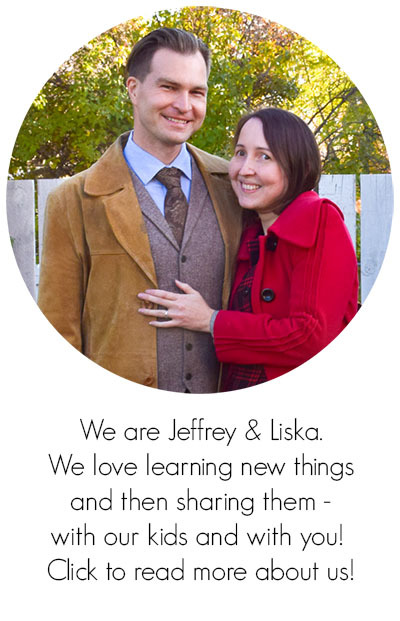 We hope you will enjoy it and discover something new about each other! Two alternative game boards. 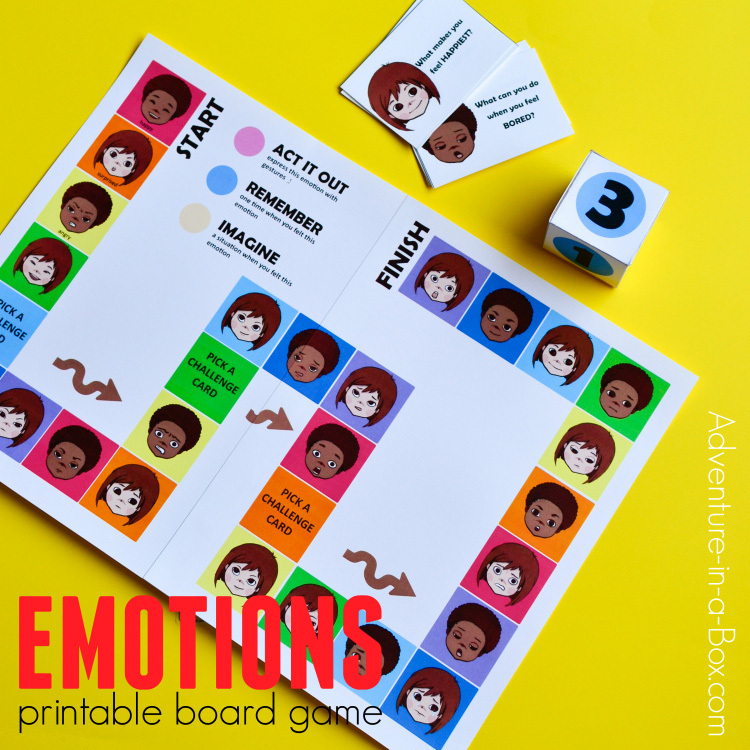 One game board features the names of emotions underneath the faces, and the other version game has pictures only, leaving the expressions open for player’s interpretation. Either game board can be made by printing its two halves and gluing or taping them together. Sixteen challenge cards to use when the player lands on the challenge square. Printable die and printable tokens. Each player throws a die and notes both the number and colour it displays. The number shows how many squares to move. The colour indicates a task to perform, related to the emotion depicted on the square he/she landed on. Pink: The player needs to portray the emotion with facial expressions and gestures. Blue: The player needs to tell about a time when he/she felt this emotion. Yellow: The player needs to tell an imaginary situation that could cause this emotion. On the board, there are three special squares marked “challenge cards”. When the player lands on one of these squares, she/he needs to pick one of the challenge cards. If he/she can complete the challenge, the player can use the shortcut. If not, the player simply stays on the challenge card square until the next turn. You can finish the game when the first player comes to the end and wins. 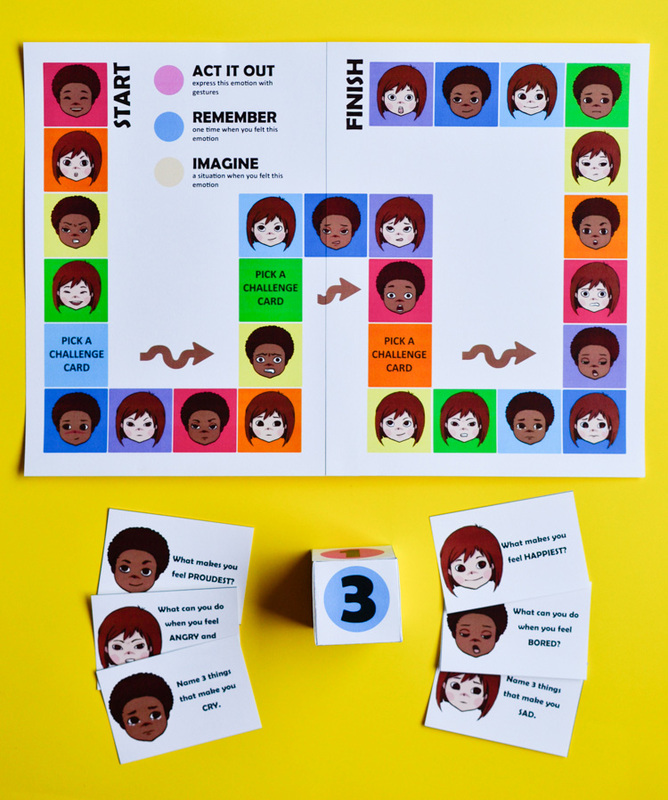 But this game is more about getting to know each other than winning, so it may be best to promote the idea that when all players finish, everyone wins, making it a cooperative game. You can choose, based on the mood of your particular group of players. 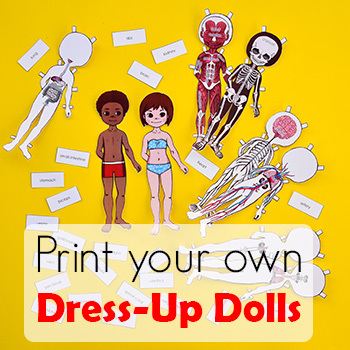 You can also get it as a part of this Emotion Education bundle that also has all of our Emotion dress-up dolls.